WINNIPEG — Midfielders Diego Gutiérrez and Nicolás Galvis have been inseparable — especially when it comes to getting to know their new Valour FC teammates or, say, speaking with this reporter. English-speaking Galvis has taken it upon himself to play translator for Gutiérrez, a Quebec-born midfielder who has lived in Chile since he was three-years-old. Galvis, a Colombian-born midfielder, remembers his teammate’s situation well. At the age of seven, his family relocated from Manizales, Colombia to St. Catherines, Ont. He credits former classmates and hockey for helping adjust in his early years living in Canada. Soccer remains his favourite sport, but Galvis continues to follow hockey to this day. Funny enough, he’s now in the same city as the team he pays the most attention to, the National Hockey League’s Winnipeg Jets. Both Galvis and Gutiérrez have put their support behind representing Canada on the international stage. Valour FC head coach Rob Gale brought Gutiérrez into the fold when he was coach of the under-20 national team. 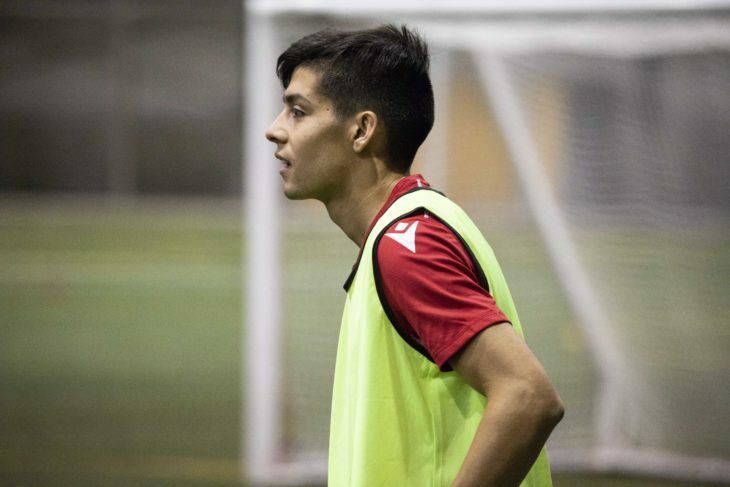 That connection led the 22-year-old to Winnipeg from Palestino, a team in Chile’s top division. That feeling is mutual, as coach Gale heaped high praise on a potential starting winger, who is also capable of playing as a right fullback. Galvis shows his own versatility as he smoothly transitions from English to Spanish for a tag-team interview with Gutierrez. The left-footed central midfielder can also play out wide. In 2017, at age 20, Galvis was called up to the Canadian men’s national team for a friendly against Curaçao while playing for Colombian side Pereira. “I feel more Canadian than Colombian now, but I still know my roots,” he added. When Diego Gutiérrez signed on with Valour FC just before training camp, there were whispers of his twin brother, Cristian Gutiérrez, could be making the move to Winnipeg, too. The left-footed defender appeared set to leave Chilean side Huachipato for Canada, but another club in his home country came calling. Colo-Colo, a major club in South America, announced its agreement with Gutierrez after an injury to the club’s starting left fullback, Ronald De la Fuente. “No opportunity there, he’s in Chile,” Gale said when asked about Cristian Gutiérrez after training on Thursday.